This week’s “Pick of the Week” comes straight from my local Goodwill. For the longest time I had written the local Goodwill off. Ever since they moved from their old location that they had been in for decades to a brand new store, it had seemed that they just weren’t getting as much vintage and interesting stuff as they used to. Well, shows what I know; apparently they are still capable of getting interesting objects and selling them for cheap prices. 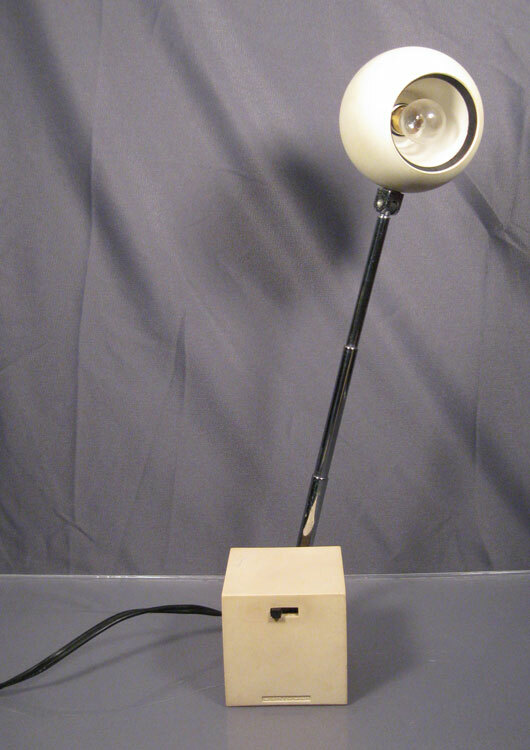 This week I found a vintage Lightolier Lytegem desk lamp from the 1960’s. It was designed in 1965 by Michael Lax, and is a very well respected Mid-Century Modern design. 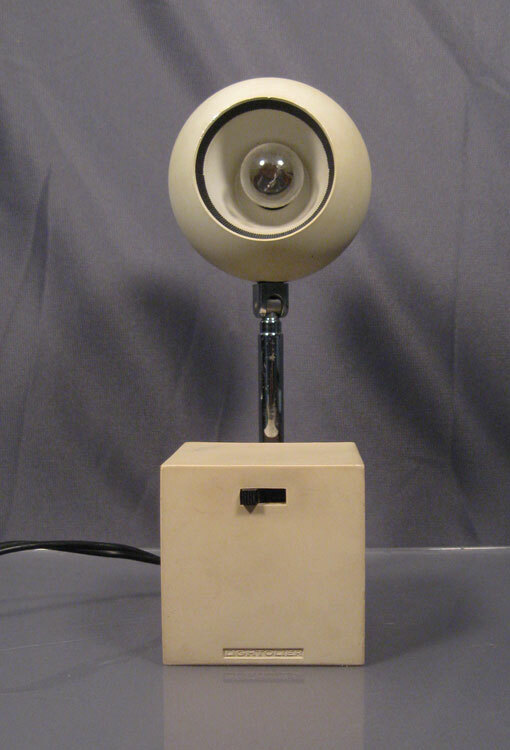 An example of this lamp even resides in the Museum of Modern art in New York City. When in its most compact form this lamp only sits about 6″ high, but it extends to around 15″ and moves and pivots for its users convenience. This lamp isn’t in perfect condition. 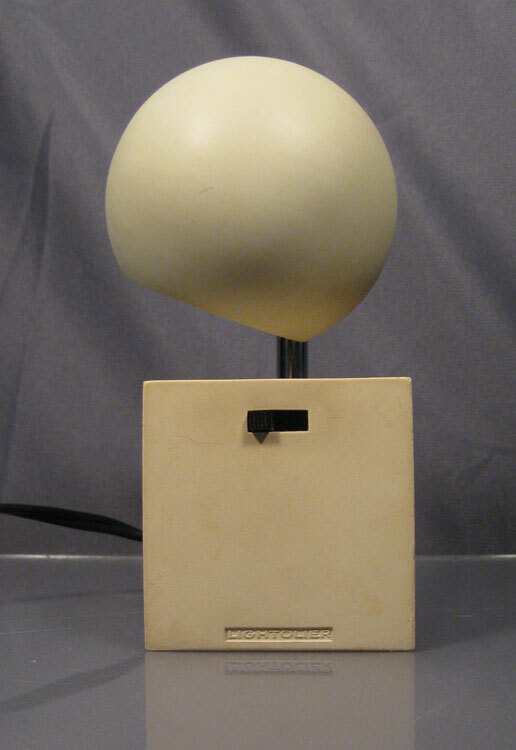 it is missing a cover on the bottom, but it doesn’t affect the lamps ability to function. It also has a few marks and some dirt on it, but my hope is that a Mr.Clean Magic Eraser might take most of that grime off. What can I say, the lamp only cost me $1.99 at a Goodwill. I can’t necessarily expect perfection for that price. 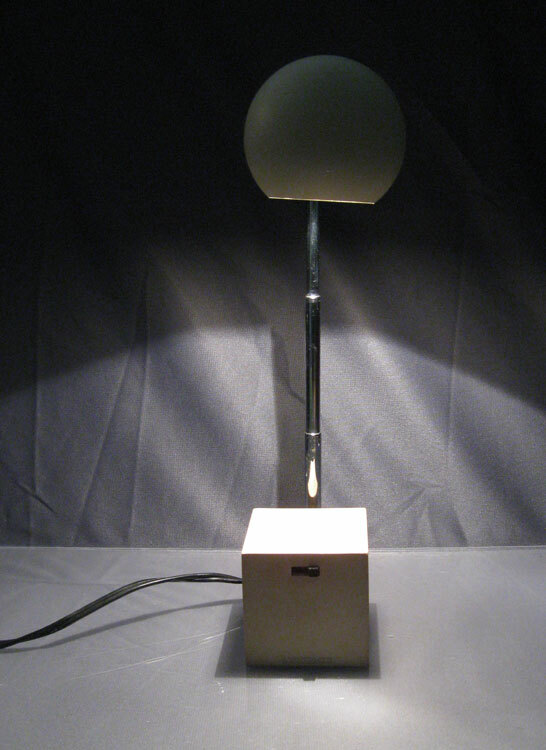 Even at $1.99 and with a little bit of wear and tear from many years of use, this lamp still works and will make a great addition to my desk and my Mid-Century Modern furniture collection! This entry was posted in 1960's, Amy, Art, Lighting, Modern Furniture. Bookmark the permalink.